I love living at Grayson Cottages! The amenities are unbeatable, with a beautiful pool, an amazing work-out room, and an aesthetically pleasing study room. I love living here! 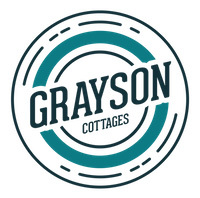 I have had a great experience so far living at Grayson cottages! They are super pet friendly and have been nothing but helpful in every situation. I have loved living here. I would definitely recommend it! The only downside so far is the slow wifi and the bus schedule, but every other aspect has been super nice. The place is very nice. There are some things that could be better though. 1. The rent, it's super expensive and I have the smallest room in the house. 2. The dishwasher doesn't work very well. 3. The emergency line is useless as no one answers. I like living here. Everything in my unit has worked correctly since I moved in three years ago. I also like how maintenance is responsive and they solve things quickly when I submit a maintenance request. Overall my experience has been great in the cottages. I really like the unit that I stay in because its separate from other units. I also like how nice the staff is. Great place to live! I have lived here two years & I have always had a great experience. The staff and maintenance are awesome and are always helpful. The front desk staff has always been extremely helpful. Maintenance has always been very prompt about responding to requests. I also enjoy how quiet the community is. I thoroughly enjoy living here. The floor plan is extremely spacious and I feel extremely safe while being here. This is the best living community at mizzou. 10/10 living.I love the amenities the service and and community. Any problem I have I have no hesitation with calling and asking. Everything is handled well and in good time!! I have enjoyed staying here at Grayson. The community assistants have always been helpful, the maintenance crew is diligent with helping with any trouble in the apartments and I love the design of the apartments. The maintenance team comes out in a timely manner whenever I have a issue which is one of the best parts about the cottages. The events in the clubhouse are always awesome as well and I can always find some free food. Grayson Cottages is a nice place to live. The staff is really friendly and real with you. I enjoy the free coffee in the club house especially on cold mornings. I enjoy living at the Grayson Cottages! The staff are nice, the area, and the maintenance staff. I like the space in my apartment and they also accept dogs which is nice! The staff are very friendly and welcoming. The units are well maintained and comfortable. The only complaint I have is that the maintenance staff is slow to salt some icy areas of the sidewalks and driveways. Overall a good experience. The townhomes are spacious, well-furnished, and pet-friendly. The community has frequent events and the staff are friendly. Maintenance responds quickly! Nice parking. Bathroom appliances could be updated. Very spacious. The leasing office could add a nice game area and update some workout equipment. The cottages is everthing you xpuld ever need in a college community. The amenities are amazing and they make everything so easy. The grayson cottages is a great place to call home. I really like the Cottages. It’s a friendly area and it’s close to a lot of places I like to go. The furniture my unit came with is quite nice although the bedrooms here are quite small, much smaller than the ones where I lived last year. The staff puts on a lot of fun activities and they are all always friendly even when they’re not working.